In our efforts to save you trips to the WordPress admin, we have now exposed Plugin management in wpUP. All the common tasks are supported like activating/deactivating plugins and trigger an update when one is available. Login today and take this new feature for a spin! 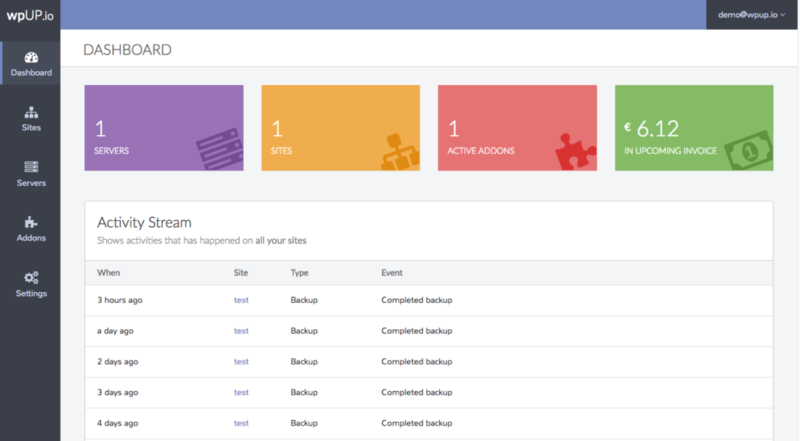 We have added the ability to manage the users that have access to your WordPress blog, saving you a trip the the WordPress admin. When you create a new user you select the username and email. You can select between all the roles available in your WordPress installation. Lastly you can enter the password for the user or have one generated by using the Generate-button. Normally when you delete a user from WordPress, all the content created by that user is deleted also. 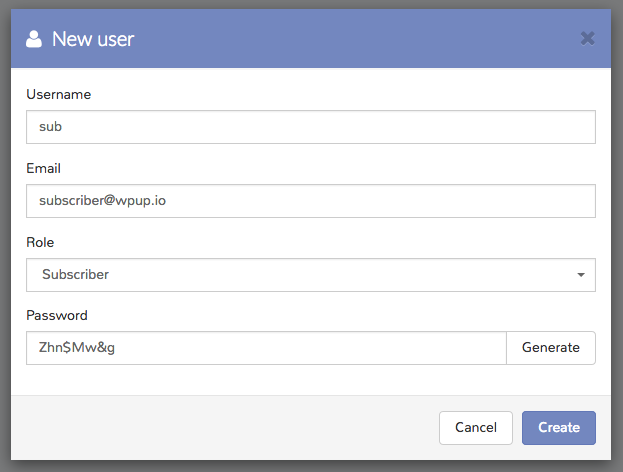 When using wpUP.io you are given the option to reassign his content to a different user so nothing is destroyed. Another feature we have added regarding users is when creating a New Site. Previously we always named the default user admin and assigned a random password to him. You can now have a different username for the admin user which is a good security practice. After a couple of years of building, testing, revising and collecting feedback we are finally ready to publicly release wpUP.io to the World. We think wpUP.io represents the perfect middle ground between crowded Shared Hosting and the often very expensive classic Managed WordPress Hosting products. With wpUP.io you first sign up for a Cloud Provider, like DigitalOcean, that delivers Virtual Private Servers (VPS). 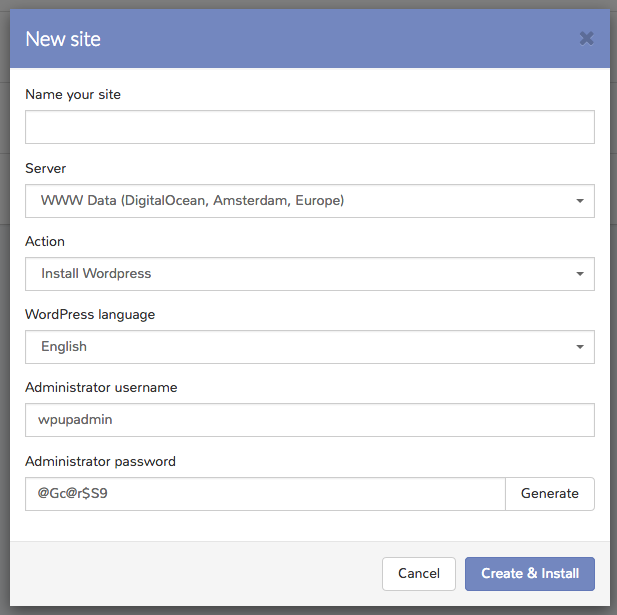 Once you have associated your DigitalOcean account with wpUP.io you can launch WordPress optimized servers that we configure and manage for you. This allows the non technical user or even the user that doesn’t want to spend time on server management to have a very performant solution without spending hundreds of dollars on classic Managed WordPress Hosting. We have a number of improvements and features planned that will be coming out at a steady pace starting next year. But what matters most is that we have delivered on our first promise: to make VPS based WordPress Hosting easy and affordable for everyone. We are super excited about this product and its future; we hope that you will be also! The WordPress team has released three beta releases for the upcoming WordPress 4.5. Lets have a look at the new features for this major release. You can now preview how the site would look on a desktop, a tablet and on a phone in the customizer or theme installer. Great for checking out how your newly installed theme handles responsiveness before activating it. Originally a feature from the Jet Pack plugin, theme logo is now a feature theme developers can add support for. If a theme has enabled support for this you can select a logo in the customizer. This will probably be a big hit for business themes! Links can now be edited directly in the editor instead of having to use the TinyMCE popup window. 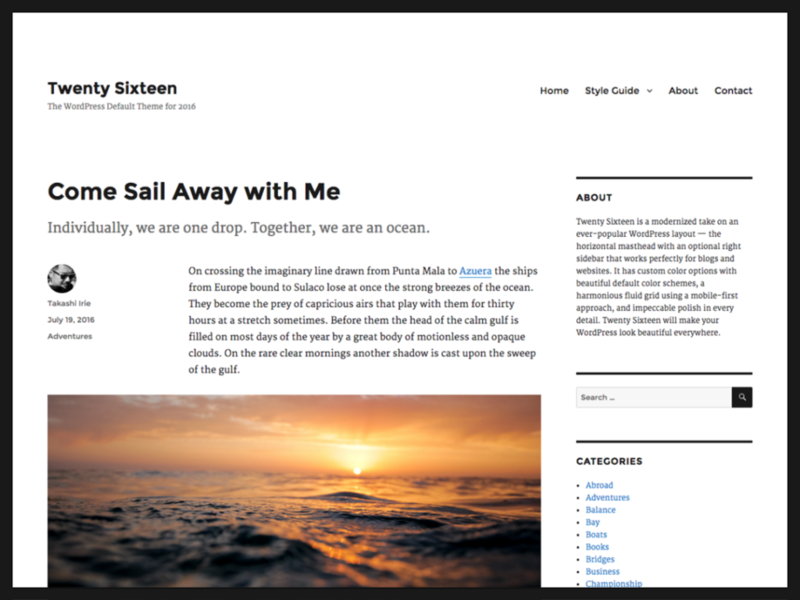 WordPress is now doing a better job at optimizing images uploaded to the media library. It does this by stripping metadata and baked in thumbnails (which a lot of cameras create). It also does a better job when resizing images, giving you a crisper look when downsampling. Great! When can I get this? Soon. WordPress 4.5 is scheduled to be released in about a month. Once its out, wpUP will support this new version. wpUP.io is updated with this new version. Servers launched with wpUP.io are using Debian as the operating system. Debian has now updated its distribution to version 8.3. As this is a point-release it does not contain any major new features but instead comes with updated packages and security fixes. All servers will be updated to Debian 8.3 shortly. 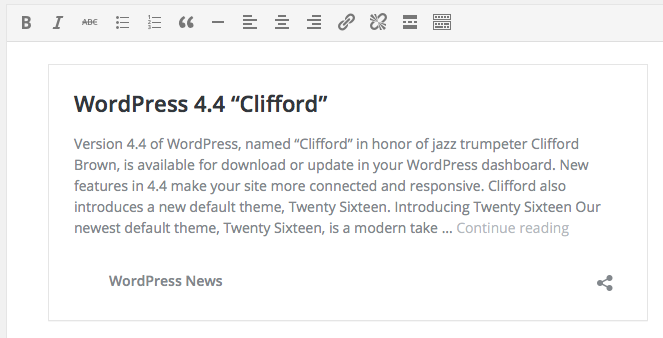 A new major version of WordPress was released a couple of days ago. The release is named “Clifford” after jazz trumpeter Clifford Brown. Images in your posts are now automatically and correctly resized depending on what device the visitor is using to read your content. The new theme for the year is (not surprisingly) called Twenty Sixteen. A retro design with modern features under the hood. 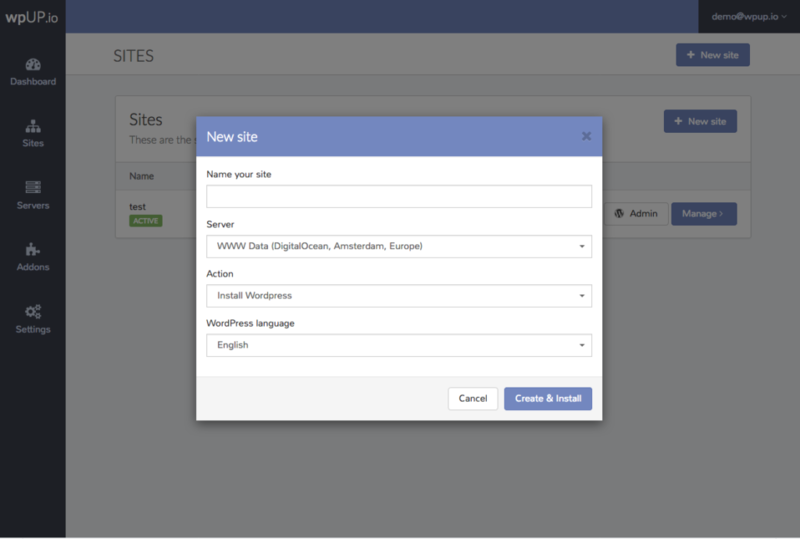 WordPress can now embed content from other sites by using the oEmbed protocol. You simply drop a link in the editor to a supported site and you will get an instant preview of the embed. The currently supported sites are: Cloudup, Reddit Comments, ReverbNation, Speaker Deck, and VideoPress. WordPress is getting an API! The development of the API started as a plugin and it will now get merged in to the core. The integration will be done over many releases and in this release the infrastructure to support the API is in place. An API will open the door to many cool features. Something that immediately comes to mind is having WordPress as a backend and writing a custom frontend (without using themes). All new sites created with wpUP.io are using this version. So create a new site and try out this exciting new release.